Bold florals and blazers are massive trends this season. A blazer is an absolute essential to everyone's wardrobe. 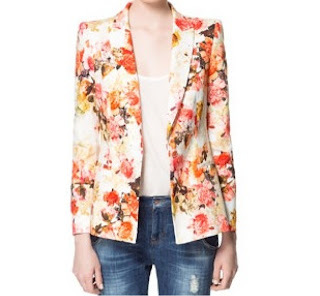 This floral blazer would look amazing with a pair of skinny jeans ad a neutral tank. 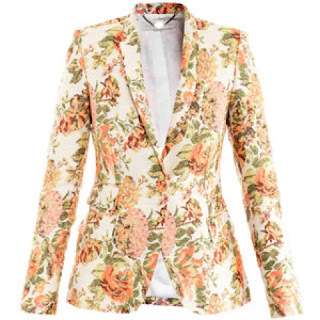 Lots of celebrities have been stepping out in this blazer from Stella McCartney, including Beyonce and Miranda Kerr. This Stella McCartney Blazer costs €1260 and is available from farfetch.com (a bit overpriced if you ask me). I love the colours in the Stella McCartney blazer but because I can't see myself dropping that much on a blazer anytime soon, I was forced to search for a high street alternative. The blazer below is from Zara and incorporates the same colour palette even though the pattern is different. This blazer cost €79.95. Oh my god I was going to buy one of those in Zara??? Really doll ??? I guess that was when I was in the changing rooms !!! 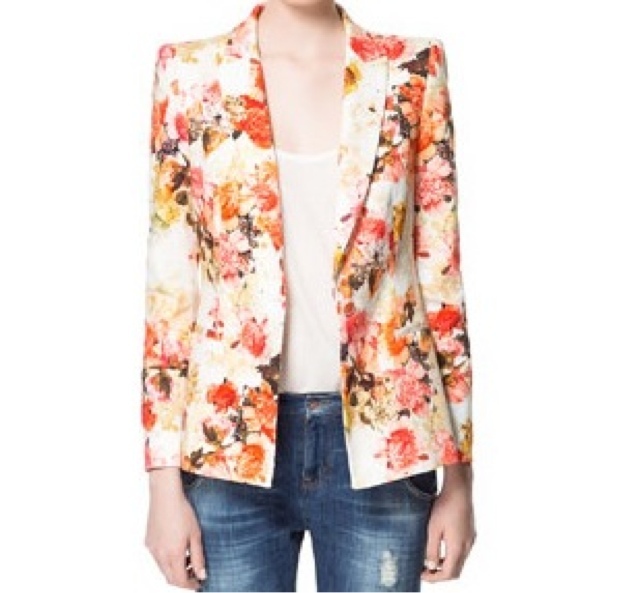 lovely blazer <3 its really fit for spring summer season !